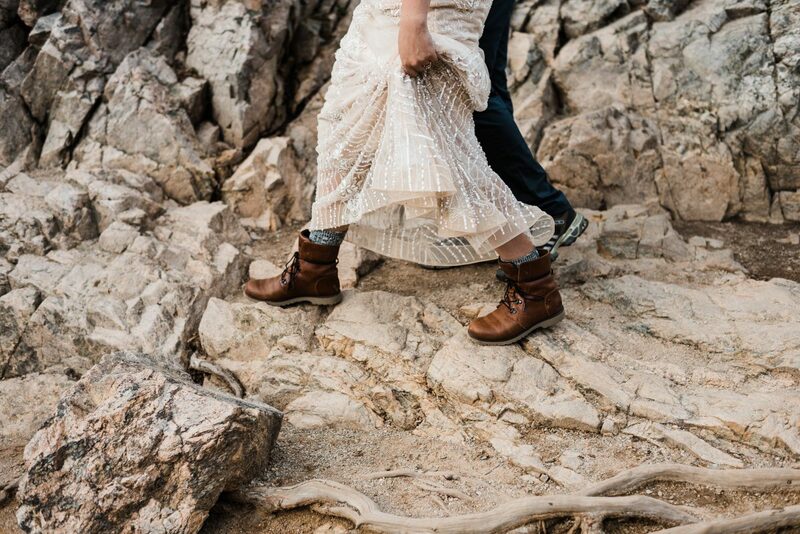 For three and half years (and counting), Katie and Corey have had a Saturday morning breakfast date at a cozy coffee shop in their small mountain town in western Maryland. 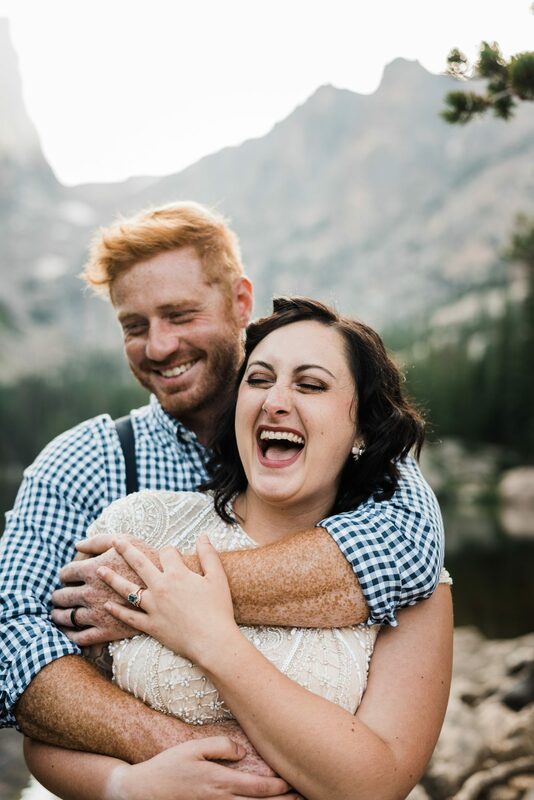 One sunny Saturday morning in June, Corey pulled a ring out of his pocket and asked Katie if she would be his breakfast date for life. 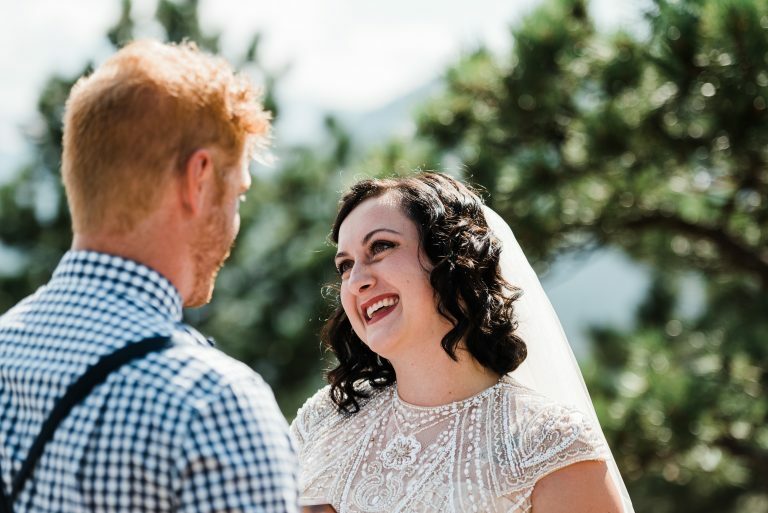 Early in 2018, Katie had earned her nursing degree online from Aspen University in Denver, Colorado. She had spent months working hard at school while working full-time and ultimately made the International Nursing Honors Society. 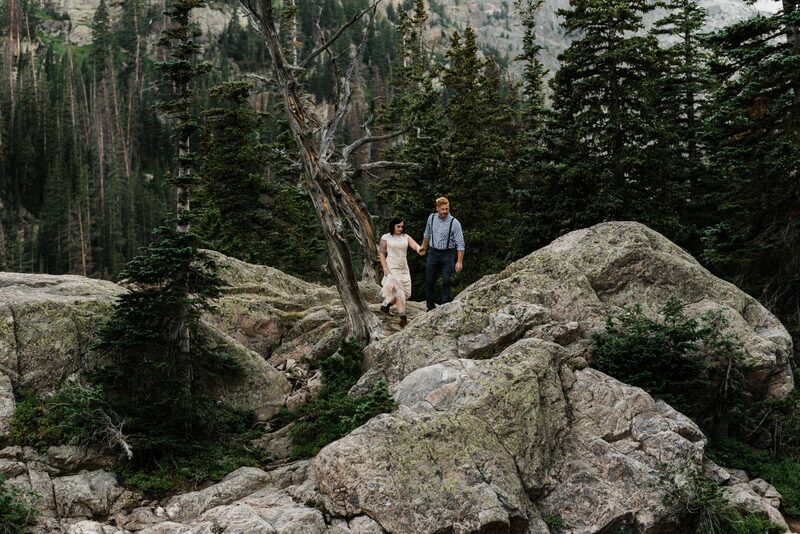 They decided to make the trek to Colorado to celebrate her accomplishment at her graduation ceremony — a place that had stolen both their hearts while visiting friends on a snowboarding trip. 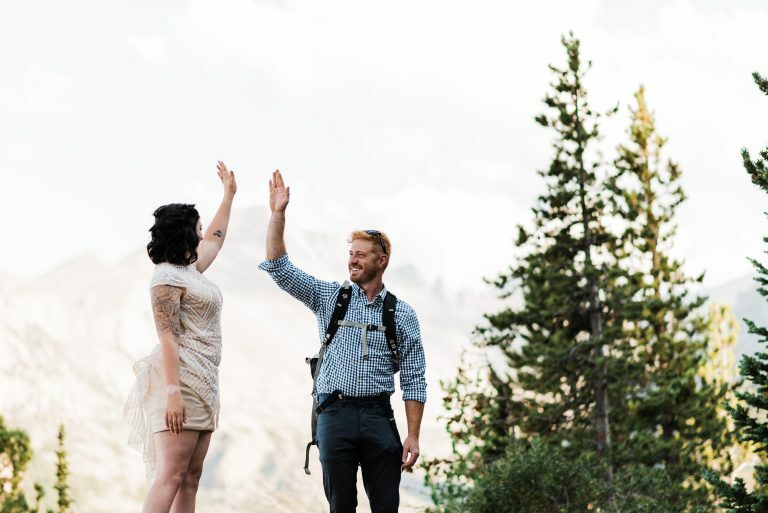 “We had joked about getting married while we were out there, then I started to seriously look into how that would work and found Simply Eloped. 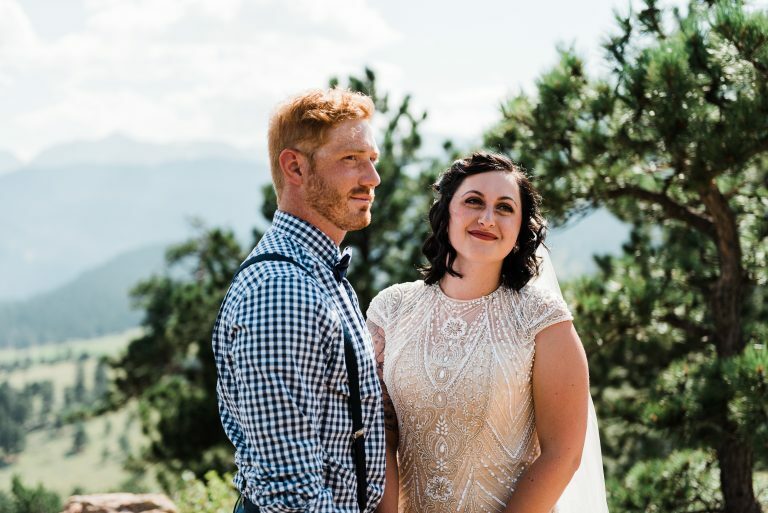 Once I saw it was going to be relatively easy we started doing some planning,” Katie said. 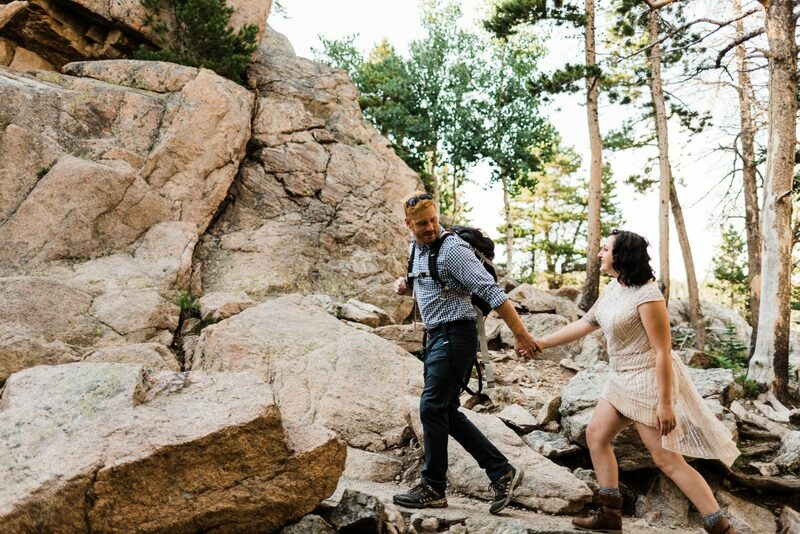 Both Katie and Corey love the outdoors and spend their free time climbing, hiking, biking, and camping. 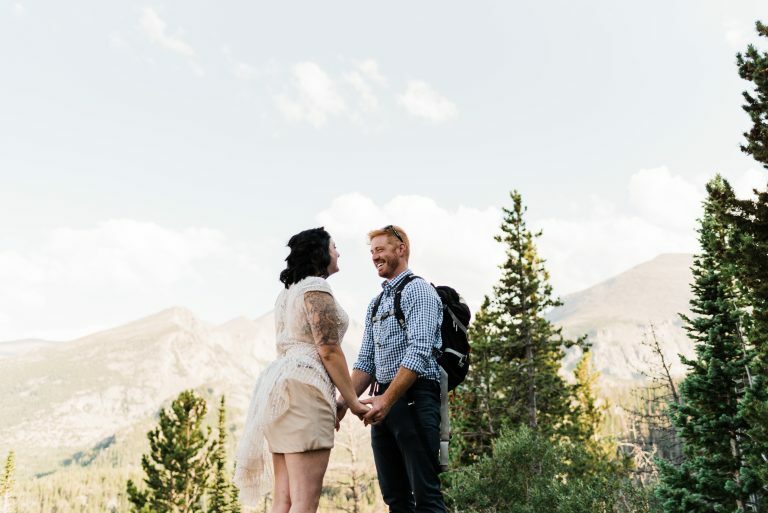 After seeing photos of Rocky Mountain National Park, they knew it was the perfect place for their wedding. 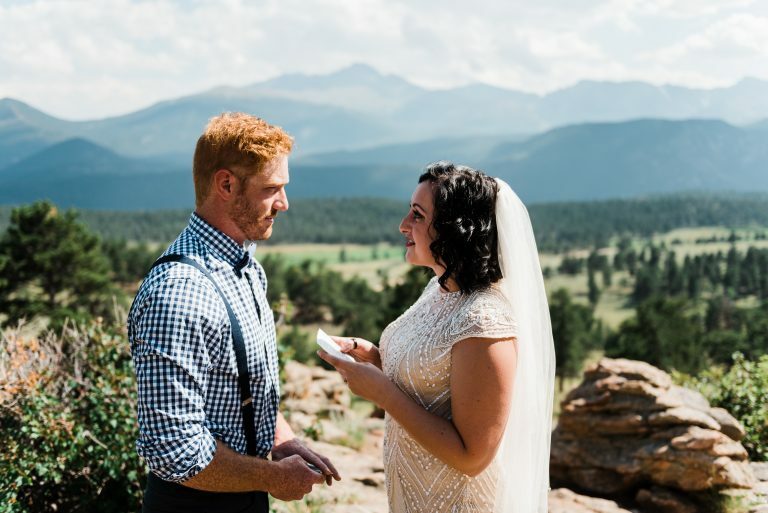 Neither Katie or Corey are big entertainers and they knew they wanted to be able to focus wholly on each other during their wedding. 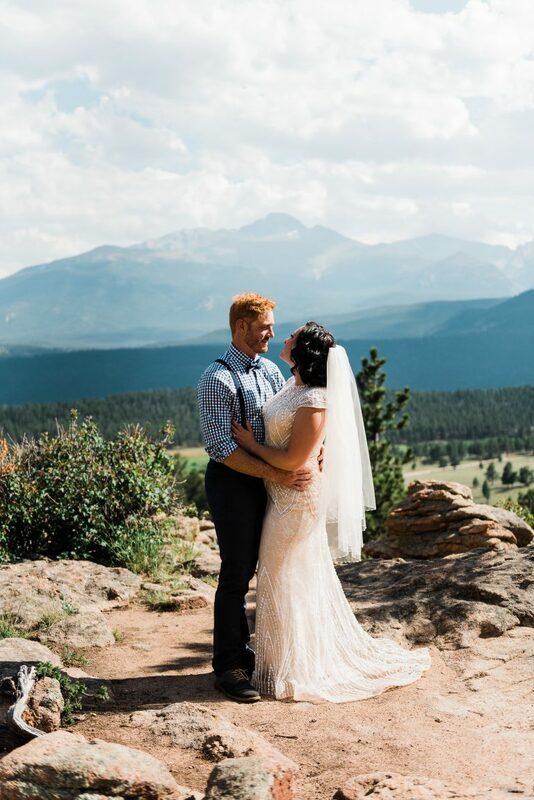 Katie and Corey married on July 24, 2018. 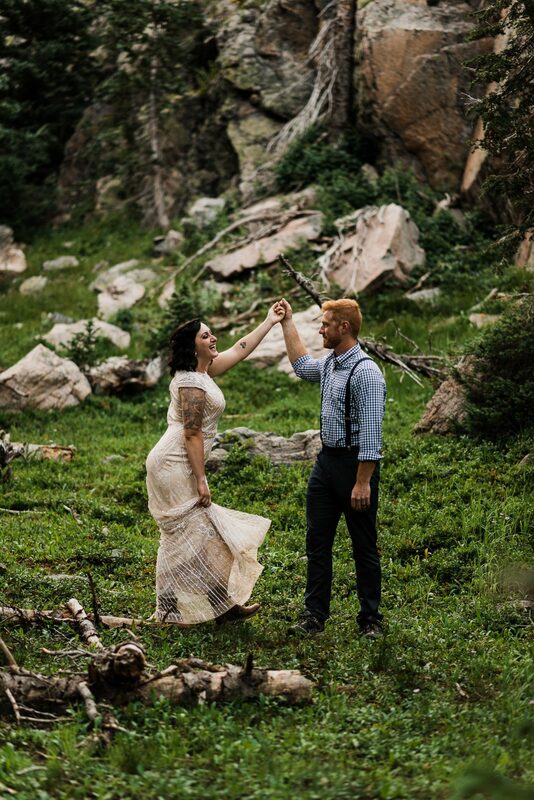 The day was filled with fresh air and true love. 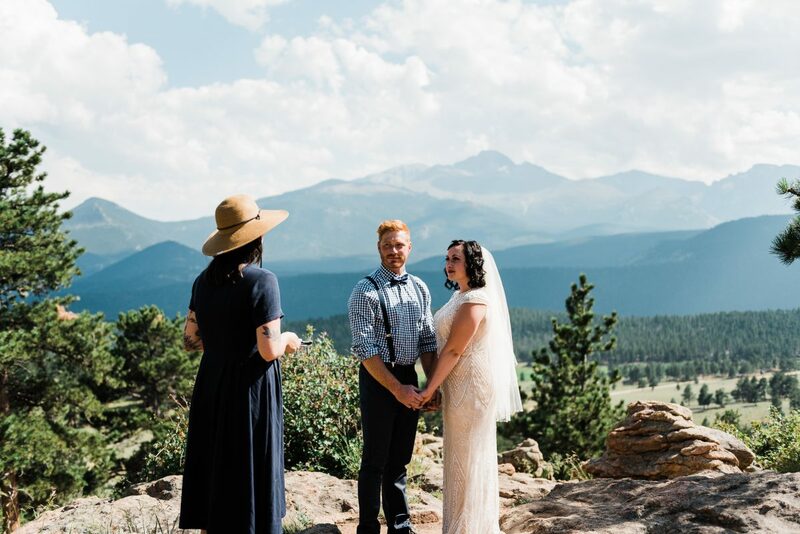 Katie and Corey stayed in a little cabin close to the park’s Visitor Center, where they met up with Jess and Austin Drawhorn, a photographer and officiant duo that specializes in outdoor elopements. 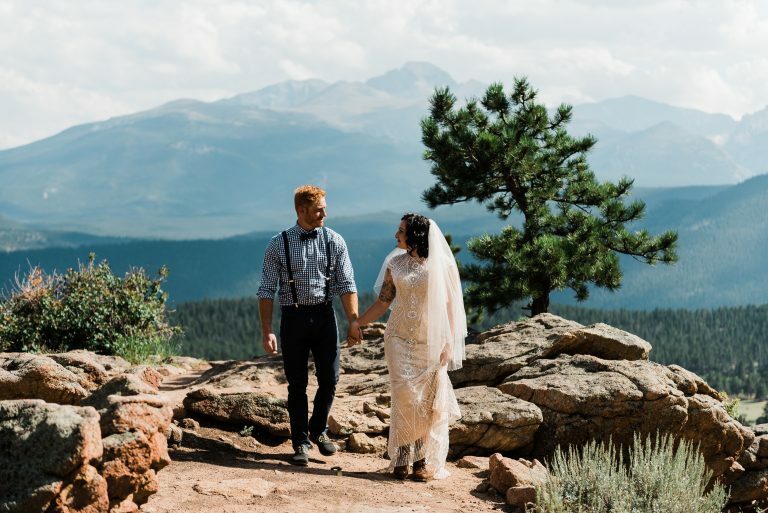 Dressed in wedding attire and hiking boots, Katie and Corey exchanged vows at an intimate ceremony at 3M Curve, a beautiful rock outcrop that overlooks the national park. 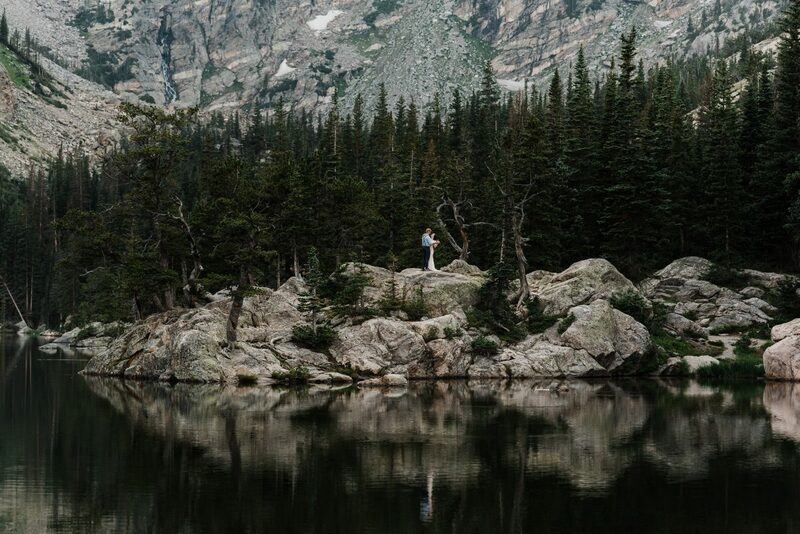 The remainder of the day was spent on a four-mile hike through incredible scenery to Dream Lake for photos. 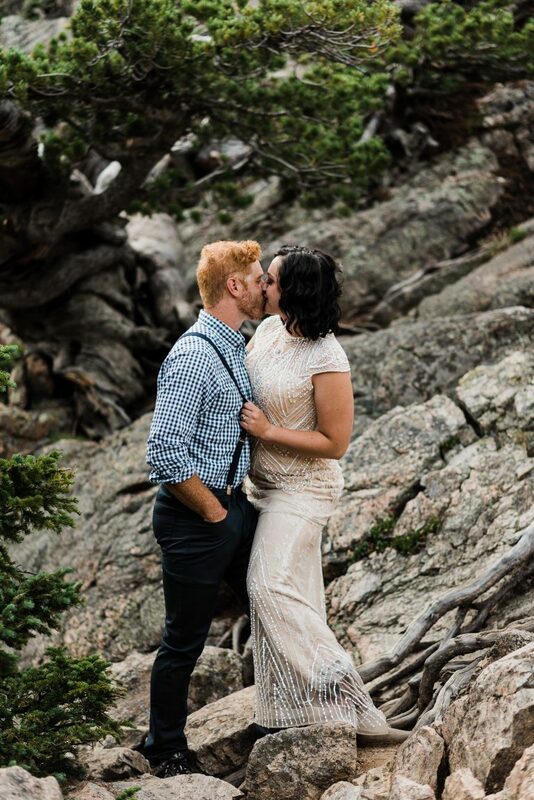 For Katie and Corey, the hike was one of the best parts of the day. 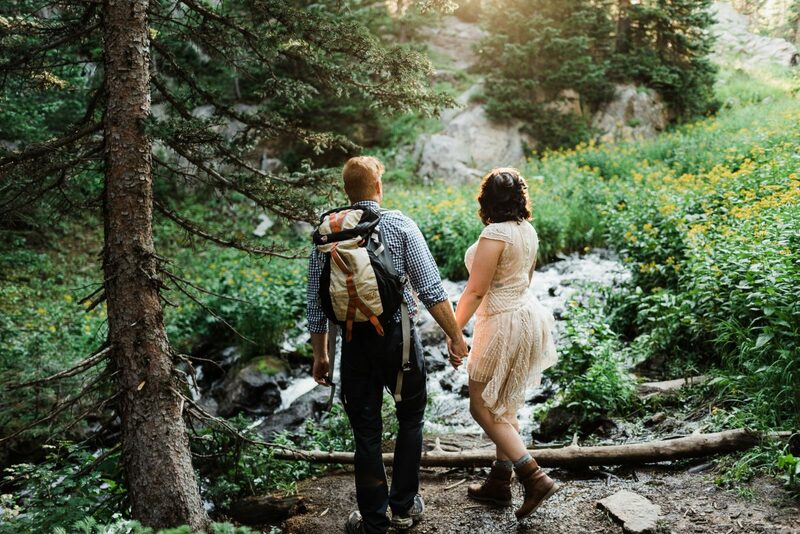 “It felt like we were hiking with friends; everything was so laid-back and relaxed,” said Katie. 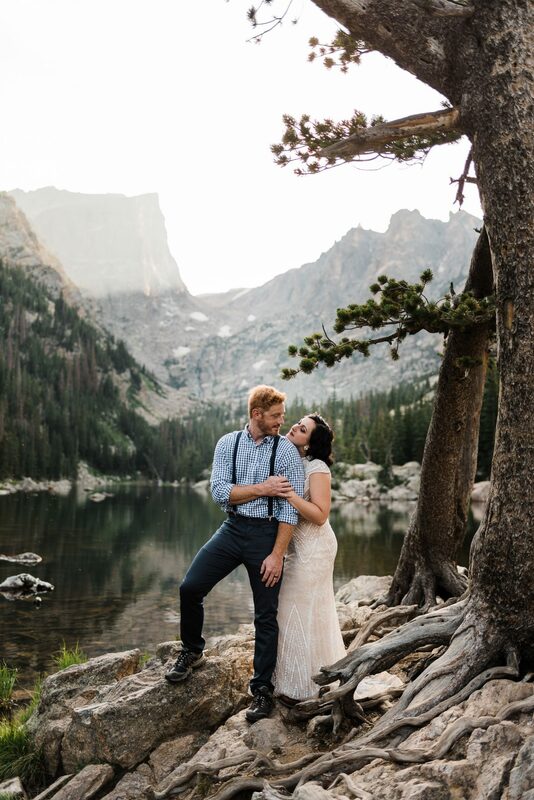 After an incredible photo session by the aptly-named Dream Lake, Jess and Austin suggested another lake not far from their current location. 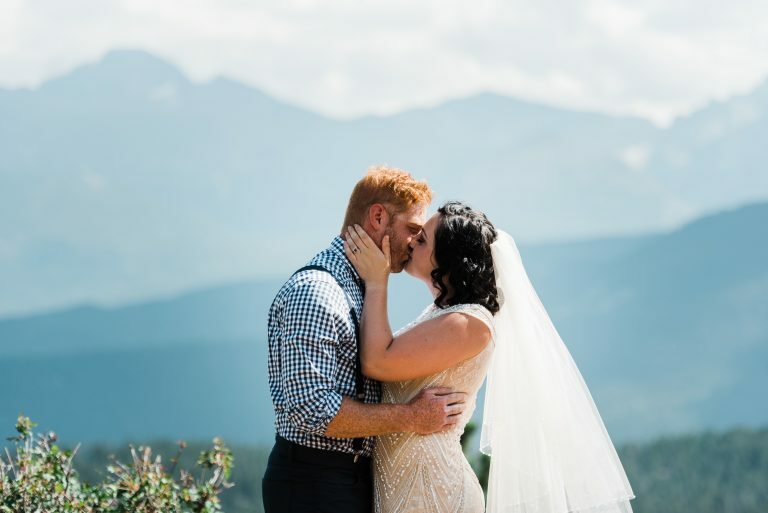 Congratulations to Katie and Corey on their stunning mountain wedding. 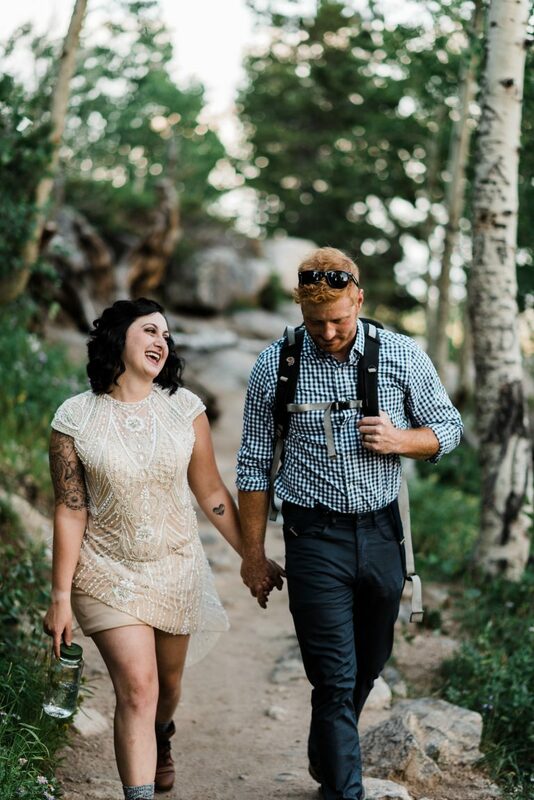 We wish you a lifetime of happiness and hiking! 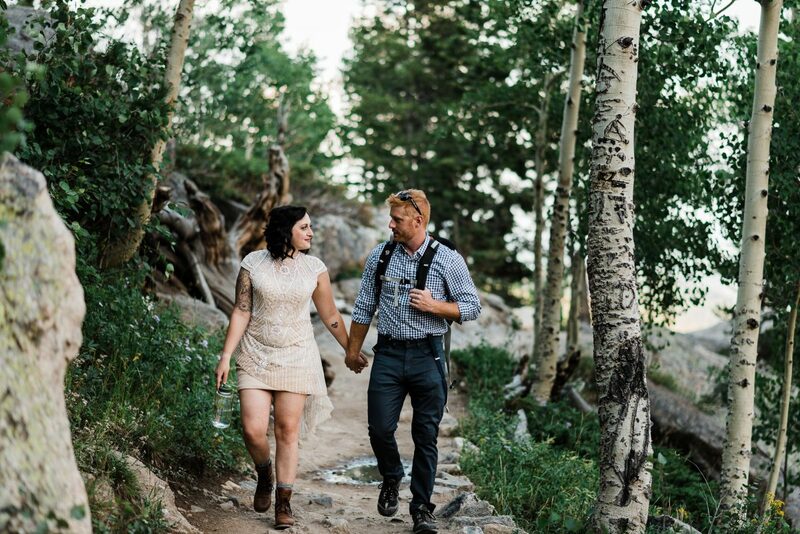 ALL PHOTOS CREDIT TO AUSTIN DRAWHORN OF SIMPLY ELOPED. Enough about us, now it’s all about you. We can’t wait to plan your perfect day together. 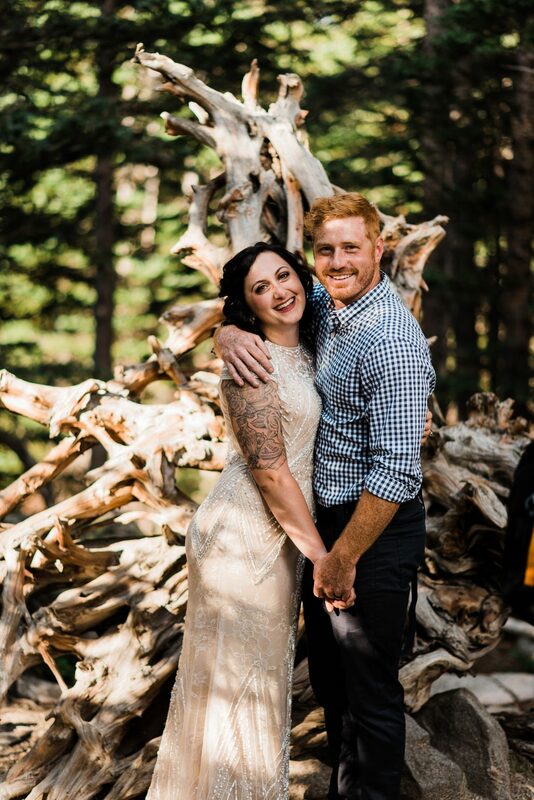 We’re happy to answer any question you may have. ENTER YOUR CONTACT INFORMATION BELOW AND WE'LL GET IN TOUCH ASAP! ENTER YOUR CONTACT INFORMATION BELOW, AND WE’LL GET IN TOUCH ASAP!